I read this article and found it very interesting, thought it might be something for you. The article is called Music and Meditation and is located at https://www.totallydublin.ie/event/music-and-meditation/. 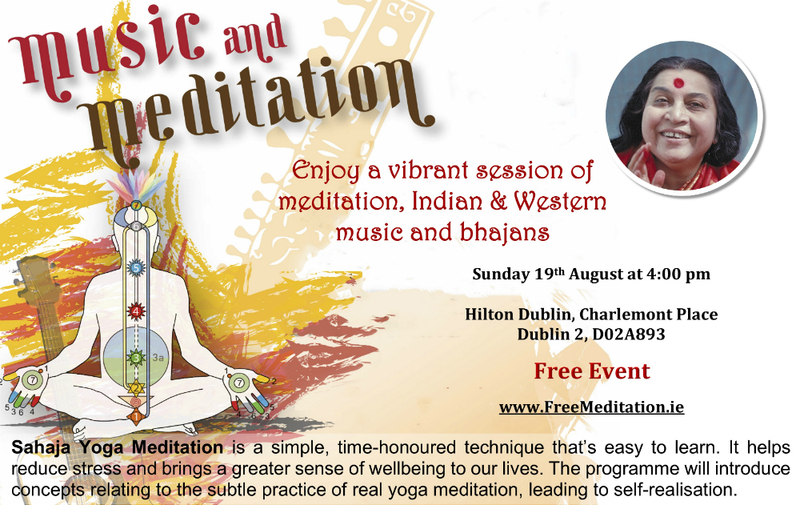 Free Meditation Ireland welcomes you to join them for a vibrant session of live music and meditation on Sunday August 19th at 4:00 pm. The programme will introduce concepts relating to the subtle practice of real yoga meditation, following which there will be a peaceful guided meditation leading to Self-Realisation. Music and light refreshments will bring the afternoon to a close.